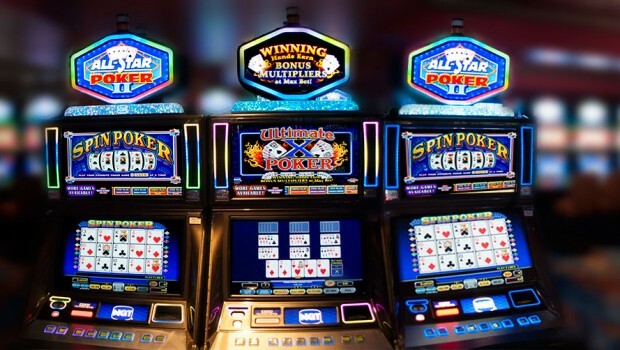 Video Poker may fool you into believing it’s analogous with the Slots machines (and in some ways it is), but it ultimately cannot be further away. The main similarity is the fact that they are both played on a console and have gone through a long and tedious process of technological improvement. In both cases it’s man versus machine, however here the similarities stop. 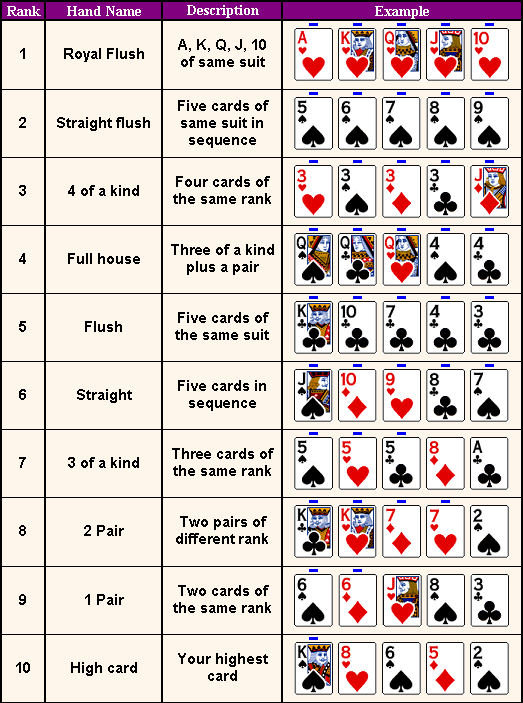 Whereas Slots are rather luck-based with huge house edge, Video Poker is a skill-based game that not only minimizes the house edge, but if you know what you’re doing, it offers you a pretty good chance of winning. If you like playing skill-based games with low house edge, but would still prefer the quiet atmosphere of the solitary experience, then Video Poker is just for you. The screen provides all the information you will need in order to play the game. It will show you your bet, how many credits you have left, the cards, etc. Everything will be confined on the display. If you’re playing on a newer machine, just like most things these days, it will allow you to use touchscreen controls. If you play in an older model, then it will probably still have buttons. There are some machines that are hybrids between the two, but most fall into either category. The buttons aren’t complicated in any way, shape or form. You have the standard buttons for choosing the amount of coins or credits you would like to bet; which cards you would like to keep; as well as the button instructing the machine that it has to deal or draw. That’s about it. The button layout is not complicated and there isn’t much to be remembered about it. Everything is rather straightforward. In the interest of saving you time, the makers of these consoles have inserted the option to place maximum bets right away instead of pressing the betting button several times. 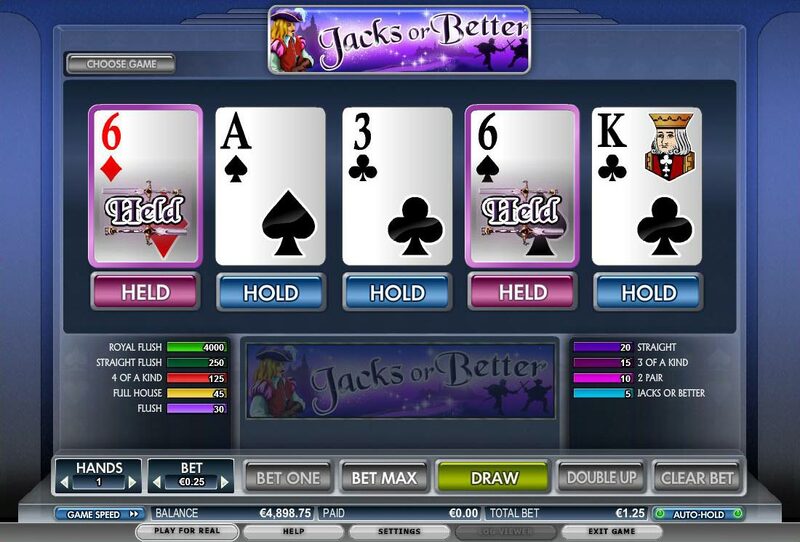 If you place the maximum bet, the cards will be dealt immediately so you won’t have to press the deal button. The maximum bet actually saves you a lot of work, when you think about it. If you don’t want to place the maximum bet, you can go for the “Bet One” button and press it one, two, or three times depending on how much you want to bet. After that you will have to press the “Deal/Draw” button, because the cards won’t be drawn automatically. As you can see, simply going for the maximum bet will save you a lot of time. There is an additional “Double or Nothing” button you can press if you win and would like to immediately gamble your winnings. This way you can either lose everything or double your profit. If you frequently visit a casino to try and liberate them from their money, then it’s a good idea to sign for loyalty or club cards. These cards offer you different perks and bonuses you can collect based on your activity. If you’re an active player, then casinos will love you. They will be all over you, offering you drink, meals and other perks to make you feel more important so you can keep pouring money into their pockets. However, overall this is not a bad offer if you’re active enough. We mean, you are a frequent visitor of the establishment, either way, and you don’t need food and drinks in order to play. This way the casino can’t bribe you so this card has only upsides for you. Nevertheless, it’s a good idea to apply for such a card, simply because you can get some sweet perks out of it. 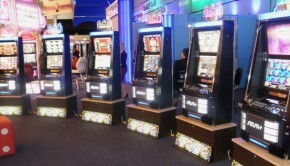 Not only that, but you can also use the “cashless” gaming options. Instead of inserting coins and banknotes in the machine, you will use the card slot. By charging your card with a certain amount, you are able to play until you deplete it, in which case you need to charge it again. This is a way more comfortable method of playing. It’s sort of like chips for other games. 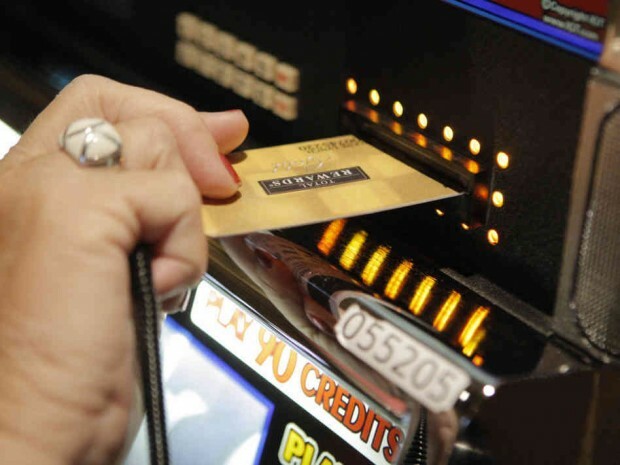 However, we feel compelled to warn you – cashless gaming significantly depersonalizes your experience. Just like the chips, you get a casino representation for your money and you don’t actually gamble with money (even though you’re losing them). 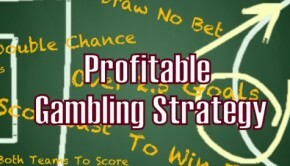 This way it’s easier for you to gamble and hence lose more in a timely manner. Think about it this way: which is easier for you – to bet $100 bill on the table, or to buy a a chip with the same value? Keeping in mind that you will lose the same amount either way, you probably think that it makes no difference, but this is where you’re wrong. You see, when you’re playing, you have to make bets and if you use chips, it’s much easier to detach yourself. You’re not really losing your hard-earned dollar, or at least it doesn’t really feel that way. When you reach inside your pocket and you see that it’s your last bill, you will be much more hesitant to bet than if you hold your last chip. It’s the same with the cashless gaming. You insert the card and see some credits on a screen. It’s like it’s a game – it’s not real. You can lose and nothing bad will happen, so why should you care? The truth is much more dire, though. It’s very real and you need to be aware of that with every gamble you make because otherwise you can lose a lot of money very fast. The good news is that you don’t have to lose a lot of money for the casino to show you some attention. They don’t focus on how much you win or lose, but rather on how much and how frequently you play, which machines do you prefer, things like that. This way can make more personalized offers to you, and encourage you to play even more with the right offer. It’s a great marketing trick for them, but it also provides bonuses to you, so what do you care? Also, generally the more you win, the more action you will show (because you will probably play more) and hence you will get even better bonuses from the house. 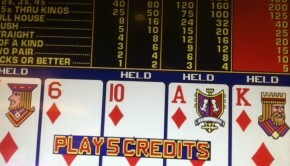 Like we said, Video Poker can offer you some great perks if you play it right. Win, apply for membership cards and don’t bet too much and you will be well on your way to having the time of your life (but more about that later). In regards to the cards and bonuses, it’s always a good idea to research your prospects. If you’re going to go somewhere and waste a lot of money (or maybe win a lot of money? ), you might as well minimize your losses/maximize your profits. The thing with the gambling industry is that people it’s all about luck. As we’ve already shown you on several occasions – yes, it can be only about luck if you don’t know what you’re doing. But we are providing you with enough information to make sure that you don’t have rely on luck alone to make your experience worthwhile. That being said, keep in mind that bonuses are just that – complementary attributes to your main experience. If a house with better bonuses requires you to be more or on higher stakes, then it’s not a sound decision to play in that house just for the free meal. You need to do your research in such a way that there is a balance between bonuses and prices. There are many sweet deals out there. They are just waiting to be found. You can easily be the one to utilize them. All you have to do is look.